The crank and clang of subway turnstiles is abrasive and annoying at the best of times. But James Murphy of LCD Soundsystem fame wants to make those noises better. For the past 15 years, Mr. Murphy has been crafting what he says is a low-cost musical solution: He has worked out a unique set of notes for every station, one of which would sound each time a passenger swipes his or her MetroCard to catch a train. The busier a station becomes, the richer the harmonies would be. The same notes would also play in a set sequence when the subway arrives at that stop. Each of the city's 468 subway stations would have note sets in different keys. Now Murphy might actually get his chance. 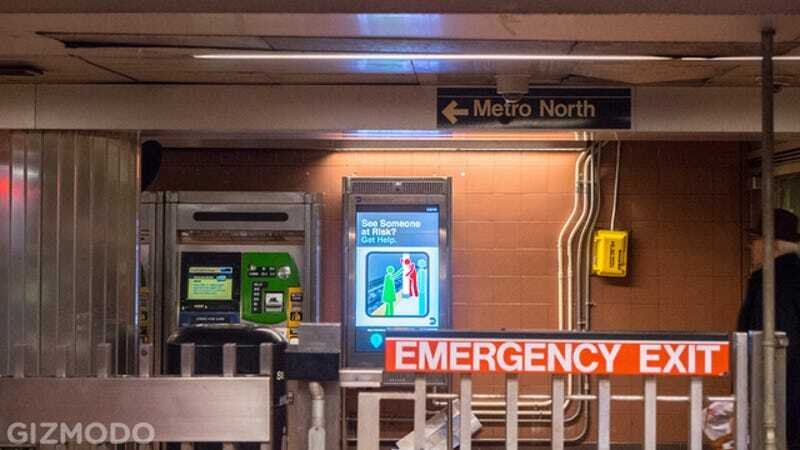 The Metropolitan Transit Authority is planning to spend $900,000 a year to upgrade things like turnstiles, furniture, and exits to improve passenger flow at stations. There's also another project cooking that will keep the same turnstiles, but move toward a different kind of MetroCard system to pay train fares. By 2019, rather than swiping a card to enter, you'd tap a card or key or even your smartphone. So new cards might mean new sounds. Although Murphy was never able to secure a meeting with now-former Mayor Mike Bloomberg, but he's a little more hopeful with his prospects with current Mayor Bill de Blasio. Of course there are plenty of bureaucratic hoops to jump through to make the new sounds a reality, but it's definitely something people want. In fact, last summer, an NYC high school student proposed a very similar proposal for more pleasing noises underground.